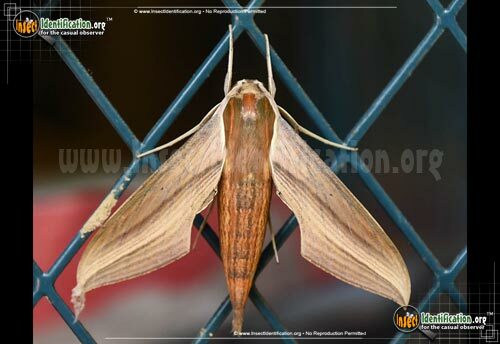 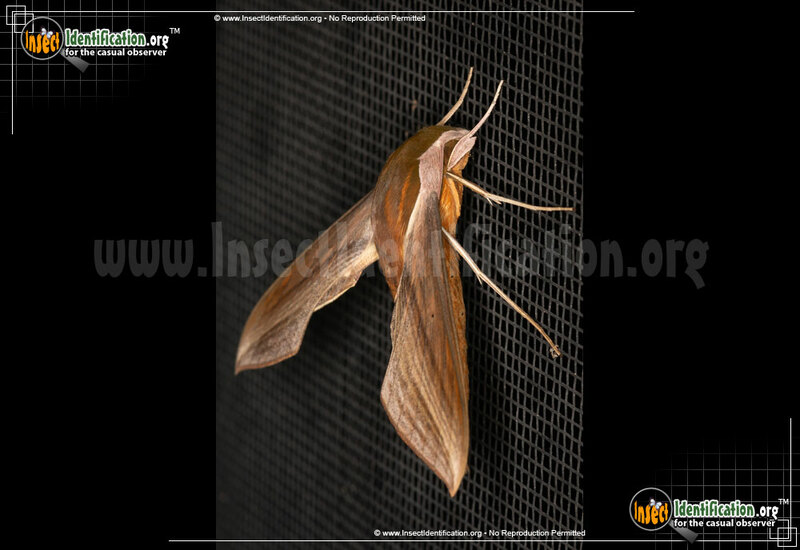 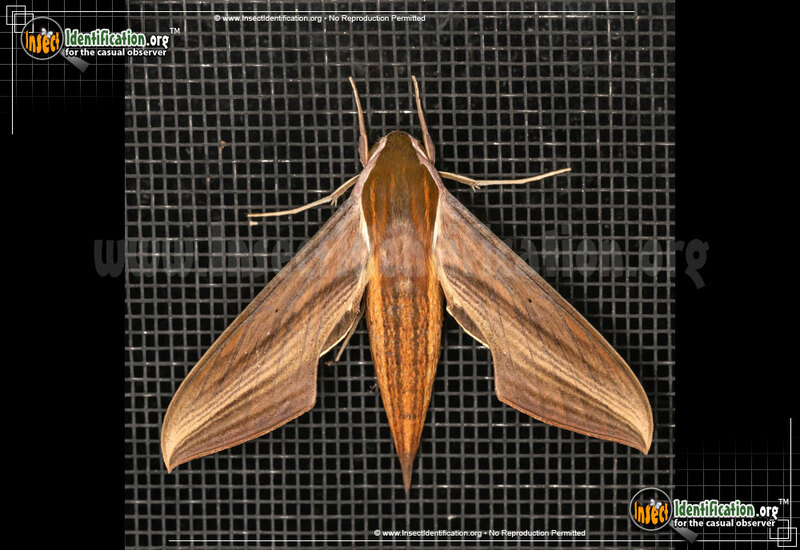 Detailing the physical features, habits, territorial reach and other identifying qualities of the Tersa Sphinx Moth. 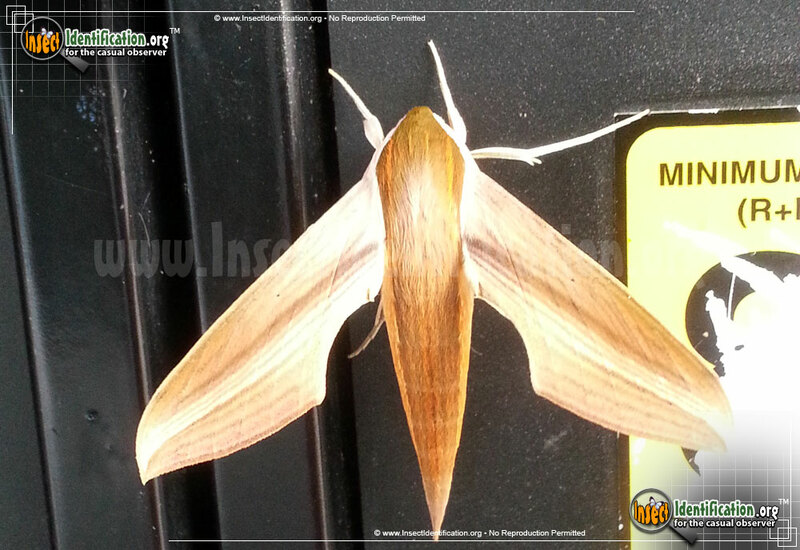 Big, bold Tersa Sphinx Moths are sleek, modern-looking moths, with streamlined wings usually seen on aircraft. 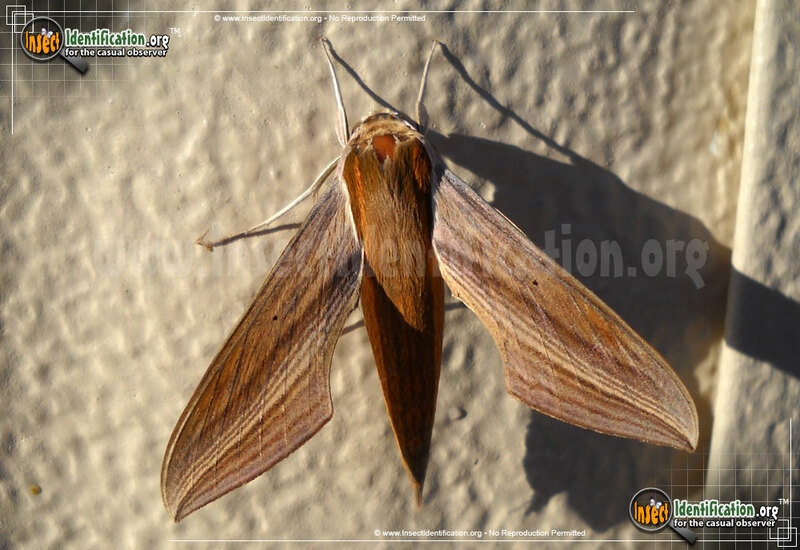 The large, stiff wings of this moth gives it the appearance of a small bird. Tersa Sphinx Moths are hairy and angular, like a streamlined stealth fighter. Their large size and a projection at the tip of the abdomen may cause alarm at first, but they are harmless moths and do not have a stinger. A hairy brown body may have undertones of green or yellow. Streaks run down the back of the abdomen. 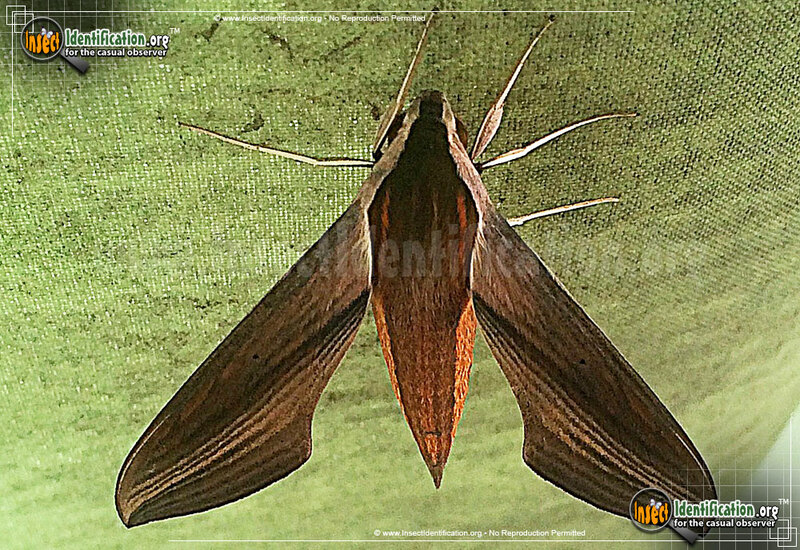 Wings have a series of thin lines that reach the wing tip. 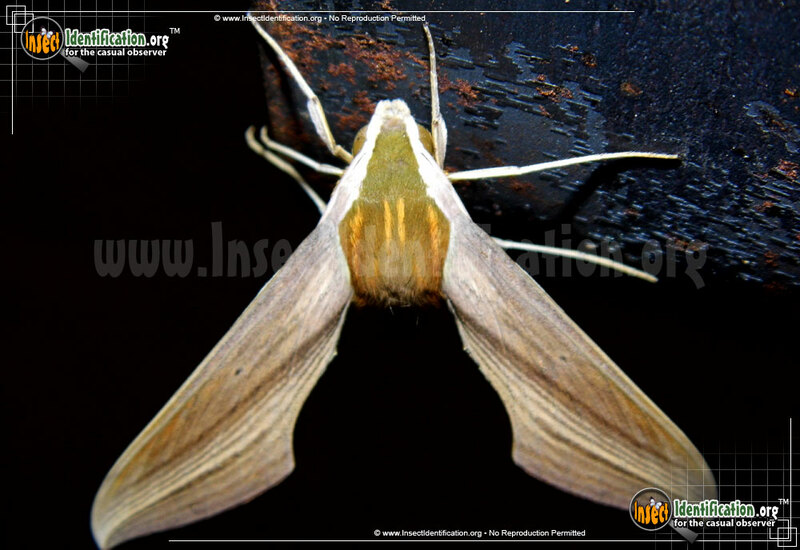 Adults feed on pollen. 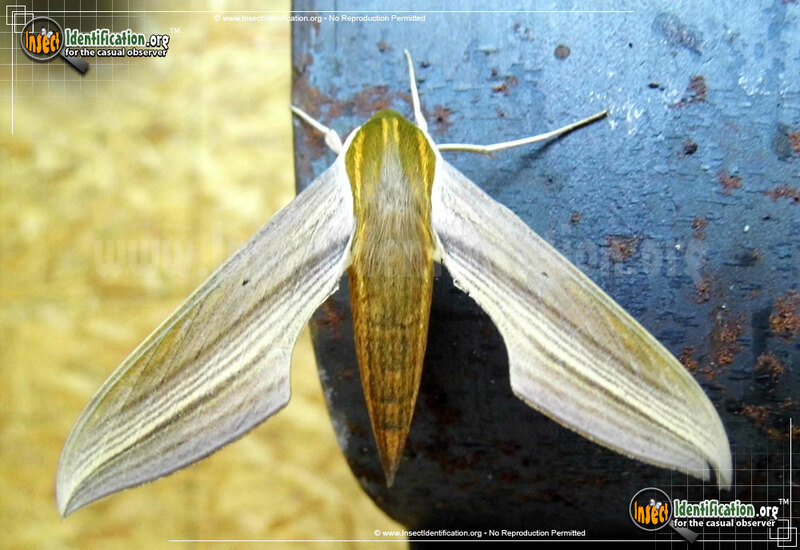 Caterpillars can be either green or light brown. Both color variations have an eyespot near the front of the head, and small white spots along the sides of the body. 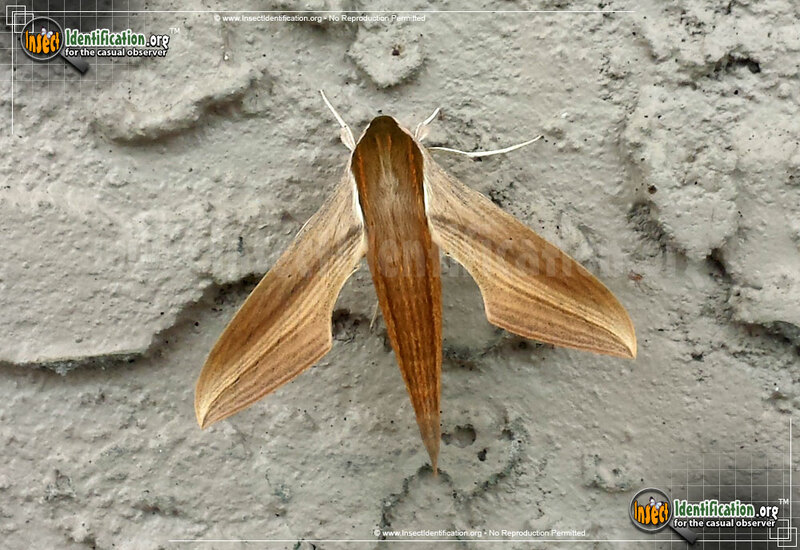 Cocoons are usually under formed leaf litter at the soil's surface.